So what is the story behind this? There's a theme park near where I live called 'Adventure Wonderland', I was forced to go about 5 years ago with another local family. 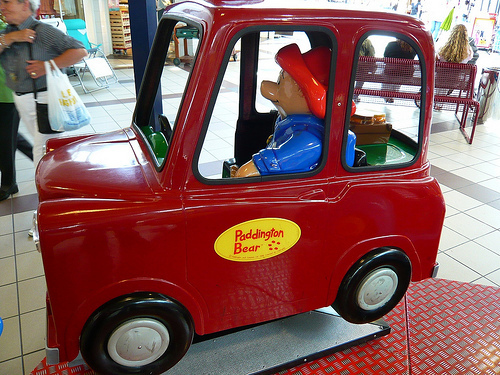 Well it was beyond crappy - I was SO bored, then out of the corner of my eye I saw the Paddington 'Kiddy Ride' (that's the official term for those things apparently). As a kid I'd loved the books and even went on 'Junior Mastermind' on the BBC answering questions about them (came first on specialist subject but came second overall by one point after the general knowledge round - not that I'm bitter or overly competitive about it). I'd always been fond of Paddington so I cheered myself up by having that photo taken. 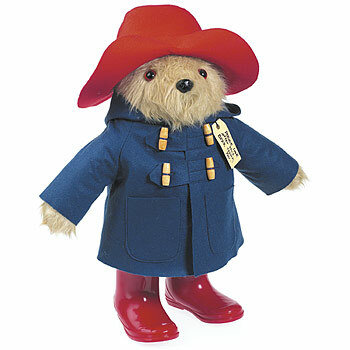 I get lots of photos taken for work stuff with me all 'suited-up' but the avatar I like for this site (and a couple of others) is that one of me with Paddington - as I feel it conveys something about me that many others don't. Anyway cut to last week or so when EvanA pops up, he'd seen an almost identical ride near him and thought it would be funny to sit in it and get a photo. Well it worked and I was simply delighted by it, since then others have very nicely made their own. I am in the process of finding and buying a ride such as that which I hope to ship (and possibly abandon) at a future SF-related event. 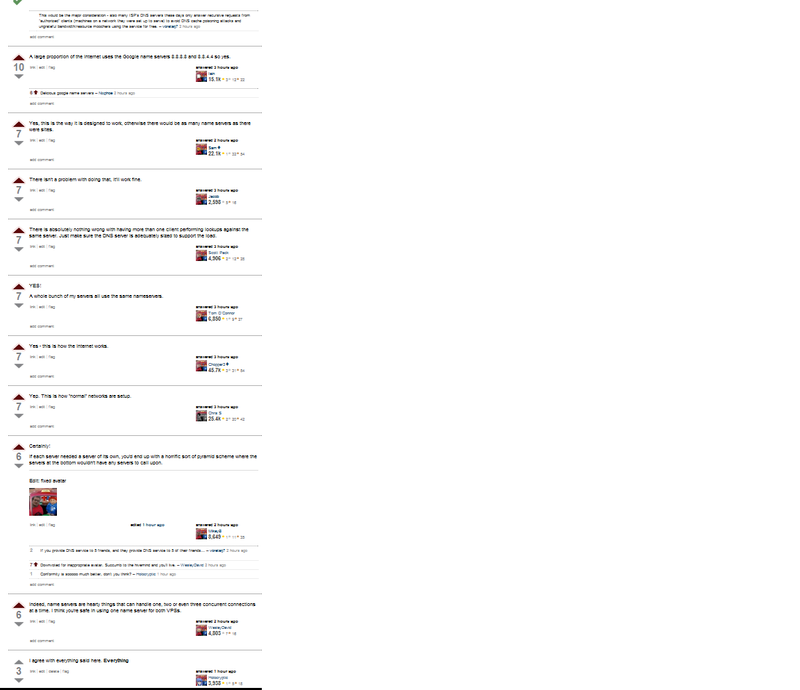 I did't buy Chopper3's story ("five years ago, bla bla" ...). So I went to his company's car park and discovered this little secret: IT'S HIS REGULAR CAR!!! I could not help but be struck by the similarity between Chopper3 and Evan Anserson. I wonder if they are related. Revenge of the choptar meme. Original Question: Two servers using same name servers? For posterity. I couldn't zoom out enough, but Bart's juuuuuust offscreen at the top. There is only one appropriate response to all of this tomfoolery: Additional tomfoolery in Unicode. Not the answer you're looking for? 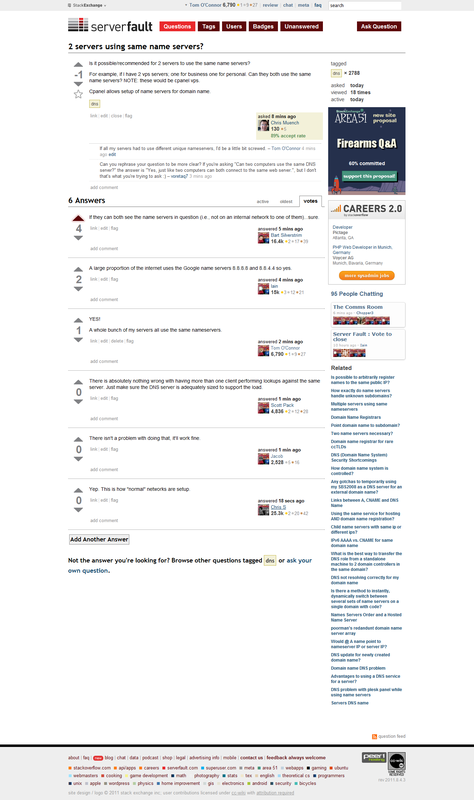 Browse other questions tagged discussion fun bears many-bears gravatar .